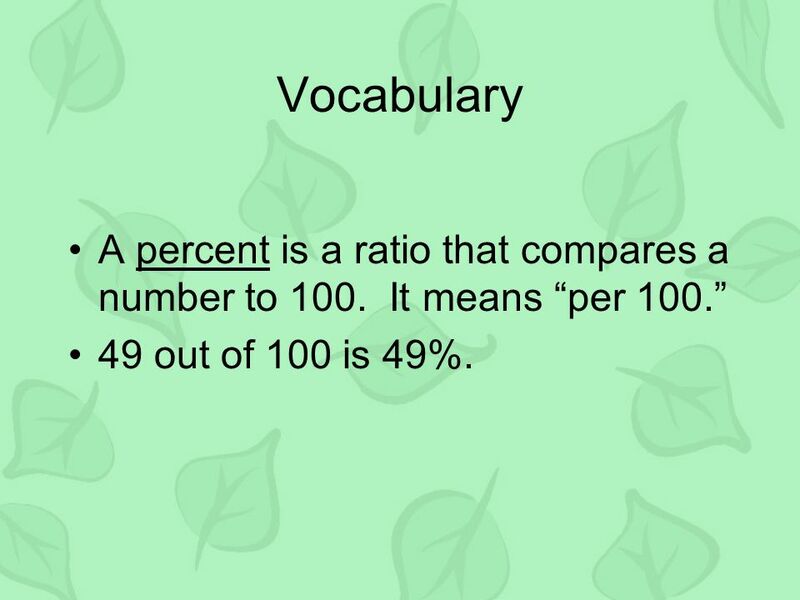 2 Vocabulary A percent is a ratio that compares a number to It means “per 100.” 49 out of 100 is 49%. 7 Homework Time Do your own problems and check with your teacher when you get to class. Download ppt "Percents, Fractions, and Decimals"
Lets Get Ready for Finals! Yellow Packet Note card, sheet of paper How to know when you are ready: –Can do most of the problems in review pkt When I am. N.S. 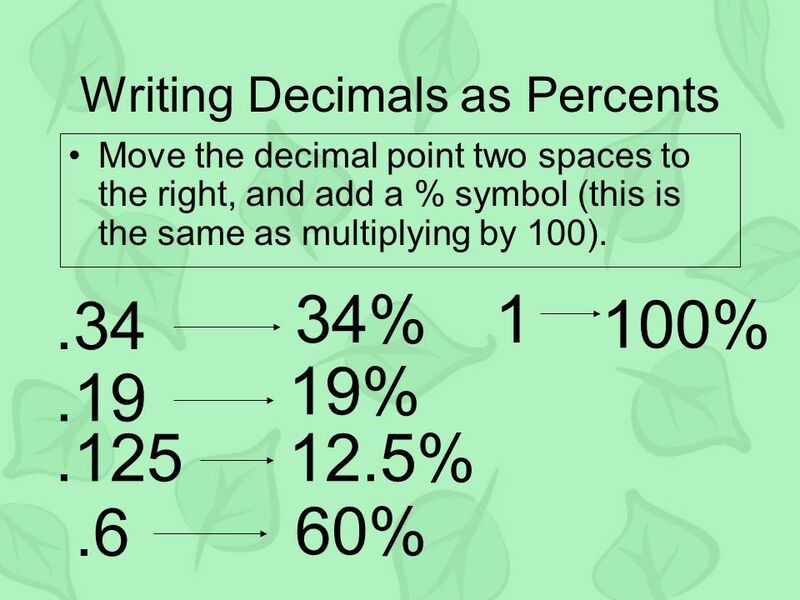 1.3: Converting Fractions, Decimals, & Percents Period Odds: 9/19/13 Period Evens: 9/20/13. Fractions. ADDING FRACTIONS  Build each fraction so that the denominators are the same  ADD the numerators  Place the sum of the two numerators on. 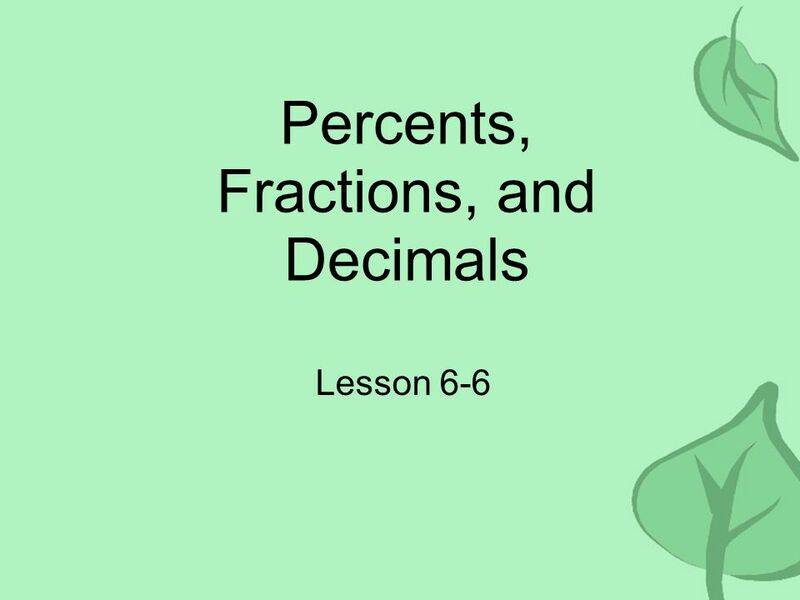 7-6 Percents, Decimals, and Fractions Learn to write decimals and fractions as percents. Thinking Mathematically Consumer Mathematics and Financial Management 8.1 Percent. 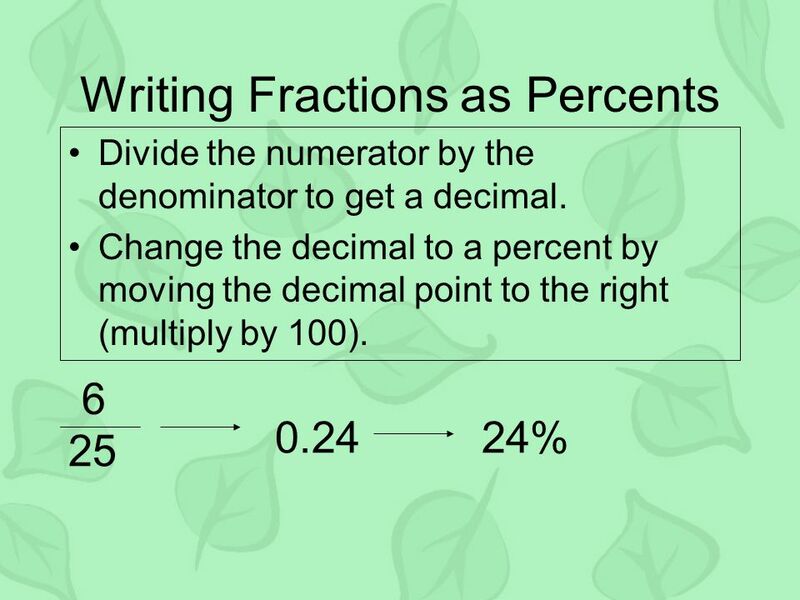 Changing Percents to a Fraction #3 To change a percent to a fraction you need to first write the numerator over 100. Next simplify the fraction. Expressas a decimal. Expressas a decimal. Convertto a decimal.. Using Cross Products Lesson 6-4. Cross Products When you have a proportion (two equal ratios), then you have equivalent cross products. Find the cross. 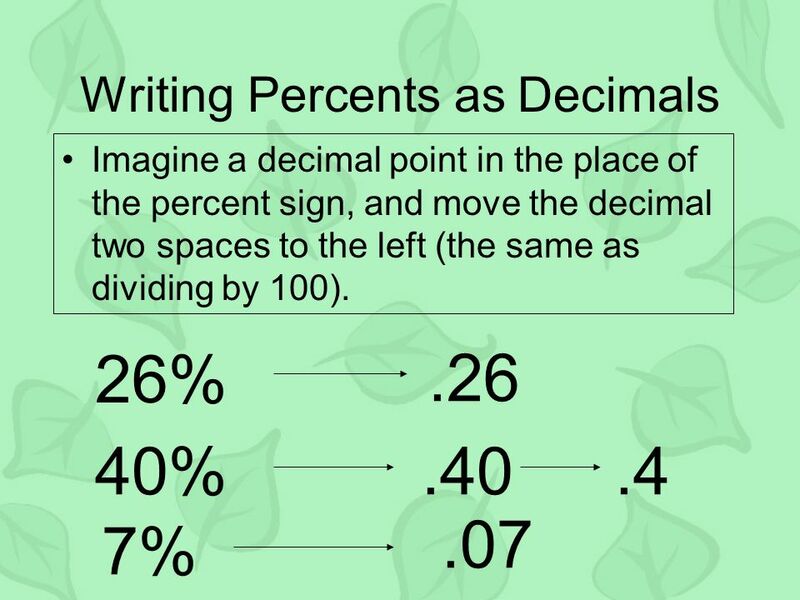 Fractions, Decimals, & Percents. I. 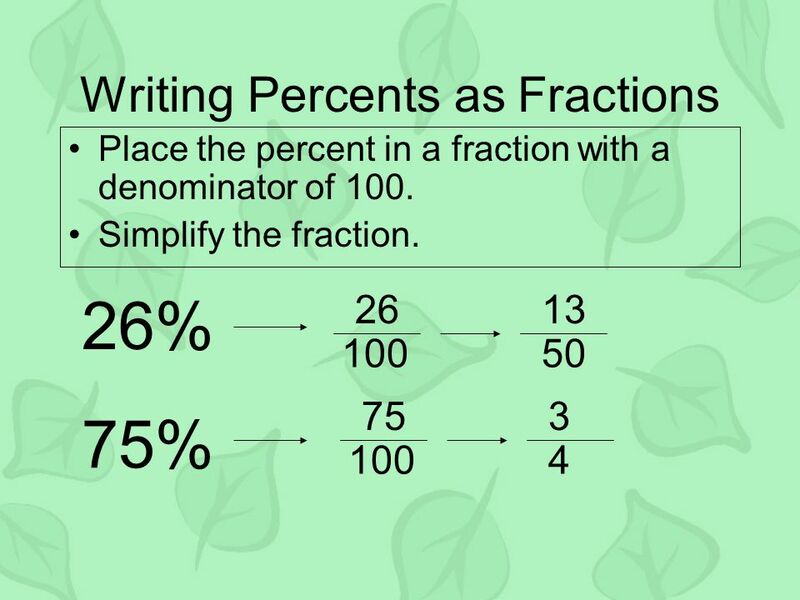 How to convert fractions to decimals There is only 1 step in these types of problems:  Take the top number of your. Simplifying Fractions 3-5. Lesson 1 – Equivalent Fractions I can use multiples to write equivalent fractions. I can use factors to write equivalent fractions. Transparency 2 Click the mouse button or press the Space Bar to display the answers.